Sierra Leone's National Electoral Commission (NEC) Chairperson and National Returning Officer finally released the results Wednesday, April 4, of the Presidential election run-off held on 31st March. "Both the polls and tallying processes were observed by political parties' agents, various national and international observation missions/groups, embassies and the media," the NEC statement said addressing days of speculation and uncertainty with reports of several recounts at precincts around the small West African country. Julius Maada Bio having polled 1,319,406 of the valid votes cast in the 31st March 2018 Presidential election run-off has been duly elected President of the Republic of Sierra Leone. The detailed result by polling stations will be posted on the NEC website. 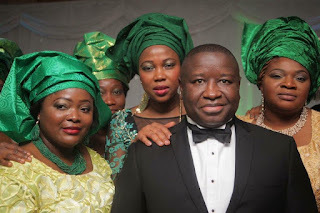 Julius Maada Bio (born May 12, 1964) is a retired Brigadier in the Republic of Sierra Leone Armed Forces. Bio was the military Head of State of Sierra Leone from January 16, 1996, to March 29, 1996, under the National Provisional Ruling Council. After retiring from the military in 1996, Bio moved to the United States, where he earned a Masters Degree in International Affairs from American University in Washington, D.C. He also served as the president of International Systems Science Corporation, a consulting and investment management firm based in the United States. He was the SLPP presidential candidate in Sierra Leone's 2012 presidential election, having won the nomination at the 2011 SLPP national convention. In the Nov. 2012 presidential election, Bio received 37.4 percent of the vote and Ernest Bai Koroma was re-elected as President for a second term, receiving 58.7 percent against his opponent. Sierra Leoneans comprise a small share of the world's Catholics, and Bio is probably the second top political leader to be president of Sierra Leone. Bio's wife, Fatima, is Muslim, and a Mandingo from Koidu, Kono District in eastern Sierra Leone.